A bunch of opportunities are in the air to conduct effective community outreach for both archaeology and museums. 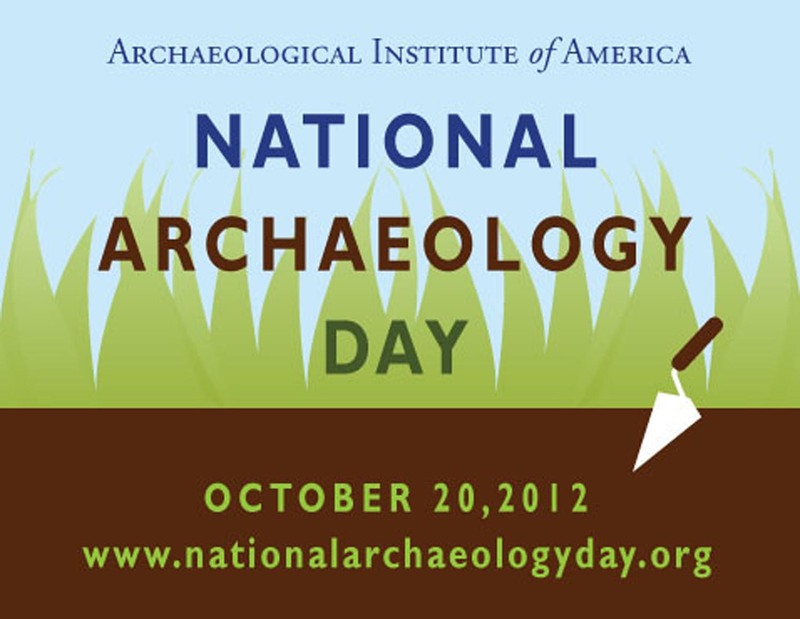 The Archaeology Institute of America’s Second National Archaeology Day (NAD), October 20, 2012 is just four months away. With over 50 collaborating organizations to date, including that 400 locations of the U.S. National Park Service, state agencies such as the Louisiana Division of Archaeology, the Alabama Archaeological Society, the Florida Public Archaeology Network, and professional organizations such as the Society for American Archaeology, the national scope of the celebration is an excellent opportunity to highlight the relevance of cultural heritage preservation and presentation in our country today. The NAD blog has a list of all the events planned across the country to date for the October celebration. The list is impressive and includes special tours of research labs, conferences, festivals, presentations and much more. At the C.H. Nash Museum at Chucalissa we are firming up our plans for NAD. Thus far, we scheduled the opening of a newly constructed replica prehistoric residential house. Along with tours, including our new Medicinal Plant Sanctuary, we will also have flintknapping, hide tanning, atlatl dart throwing demonstrations and hands-on activities for the entire family. Op-ed and News Media Articles – The American Association of Museums (AAM) celebrates a Museum Advocacy Day each year. In building awareness for the event, the AAM encourages individual museums to write op-ed pieces for local news media. The C.H. Nash Museum is not the biggest museum in Memphis by a long shot, but we are the only museum to take up this AAM challenge. As a result in both 2011 and 2012 our staff wrote op-ed pieces published in Memphis’ daily newspaper, the Commercial Appeal, highlighting the important work of museums in our community. Of course, we will submit an op-ed piece for National Archaeology Day, and use the national scope to promote cultural heritage awareness and our event. The NAD’s national scope allows such media coverage not to be viewed as paid advertising but as feature stories that explore the important role our museum plays in archaeological research and preservation. What will influence Congress the most as they make these tough budget choices?“According to a recent study, constituent visits have more influence than any other influence group or strategy. This ‘Invite Congress to Visit Your Museum’ event is the perfect opportunity for Congress to learn first-hand how museums provide essential community services. I urge every museum to participate in this event. Our experience at Chucalissa shows that when we ask our elected officials to visit our museum, they respond with a very real interest in seeing how we are relevant to the electorate they represent. NAD is an excellent opportunity to showcase that relevance in a nationally organized forum. Consider using the summer recess period to connect with your public officials on both the national and local levels to talk about how you will tie into NAD activities and why archaeology is meaningful to the community they represent. Word of Mouth – I am fond of saying all of this type of work is a process not an event. I recollect from the movie What About Bob it’s all about taking baby steps. I had an experience this past Friday that reflects this understanding. 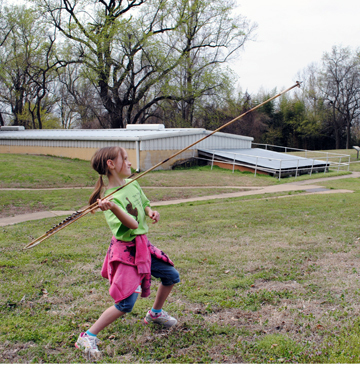 First, especially when we are slow at the Museum, I am a sucker for taking any visiting young boy or girl outside to let them throw darts with an atlatl. They always enjoy this activity. This past Friday I moderated two break-out sessions on prehistory at the Delta – Everything Southern Conference that featured my friend Sam Brookes. Sam has forgotten more about the archaeology of the Mississippi Delta than I will ever know. Each breakout session was attended by about 50 folks. After the sessions, four separate individuals came up and thanked me for taking their children out to throw darts during their visit to the Museum. Each person raved that their child/grandchild was thrilled with the opportunity and wanted to come back to the Museum for another session. Here is the punch line on this. I only recognized one of the four adults (granddaughter pictured above) but graciously acknowledged to all that providing the opportunity is what we are all about at the Museum – which is true. The resulting word-of-mouth advertising from such encounters is often built one person at a time but is more effective than op-ed pieces or paid advertising. Check a recent post in Colleen Dilenschneider’s Know Your Own Bone blog to explore the evolving priority of such word-of-mouth interactions over other forms of marketing. National Archaeology Day is an incredible opportunity in our ongoing process of demonstrating the relevance of our work in cultural heritage preservation and presentation. We can tap into this national event to introduce new communities to the archaeological venues their tax dollars support. After this introduction, these visitors can become our word-of-mouth ambassadors to their neighbors, and so on, and so on, and so on . . . it is truly a never ending process!